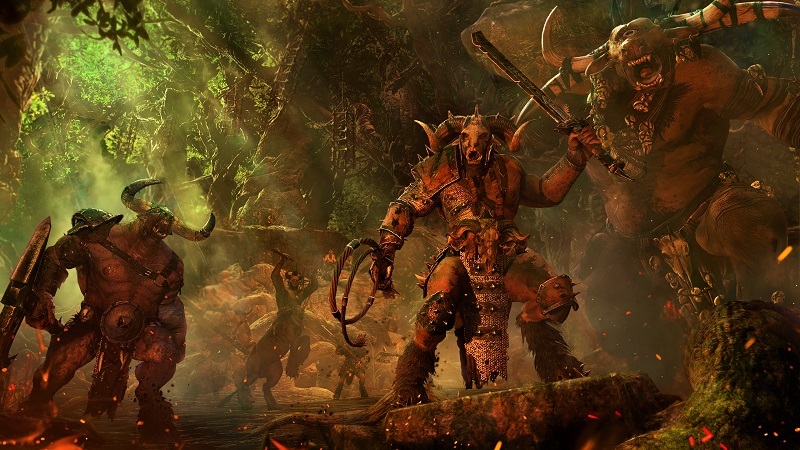 The Beast of Chaos are coming this weekend and they are the true children of Chaos – that means that Chaos Marks are coming and each Chaos God has their own devotees. 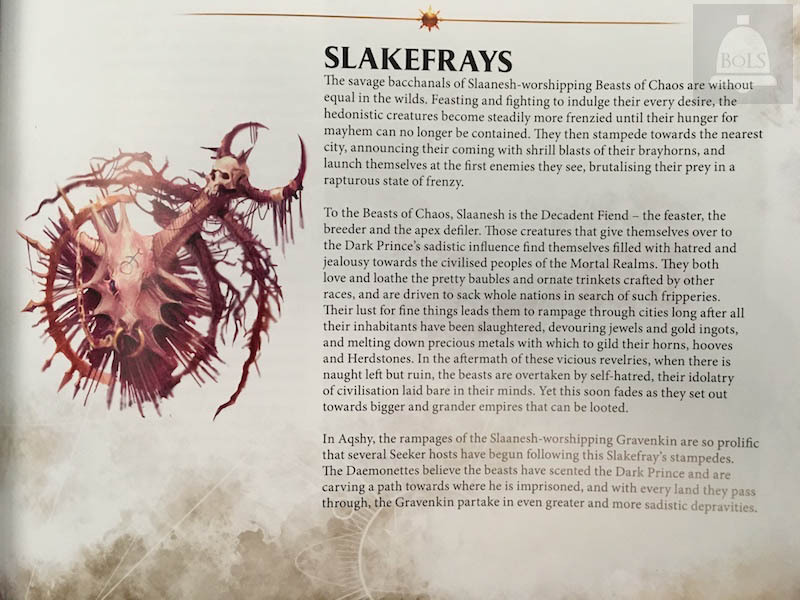 It’s time to meet the Slakefrays, worshipers of Slaanesh! 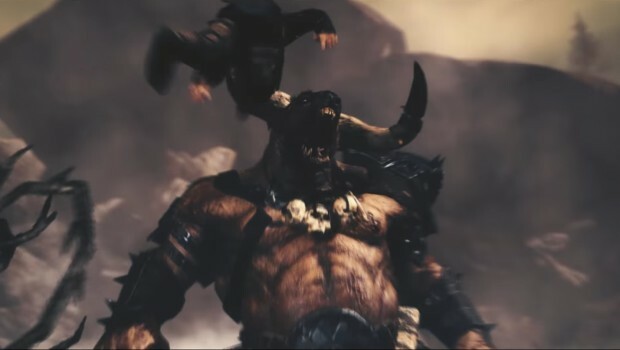 “The Feaster, the breeder, and the apex defiler” – Slaanesh is known as many things to the Beastmen. Those that pledge their herds to the Dark Prince have given in to their hedonistic desires. We’ve got a sneak peek at the lore and rules of the Slakefrays. Covetous Fury really hones in on the fact that these Beasts do want the shiny things from civilization, even though they may not really understand why. Re-rolling Charges and to hit rolls that target enemy Hero models that have an artefact of power could come in handy when you want to drag one of them down. 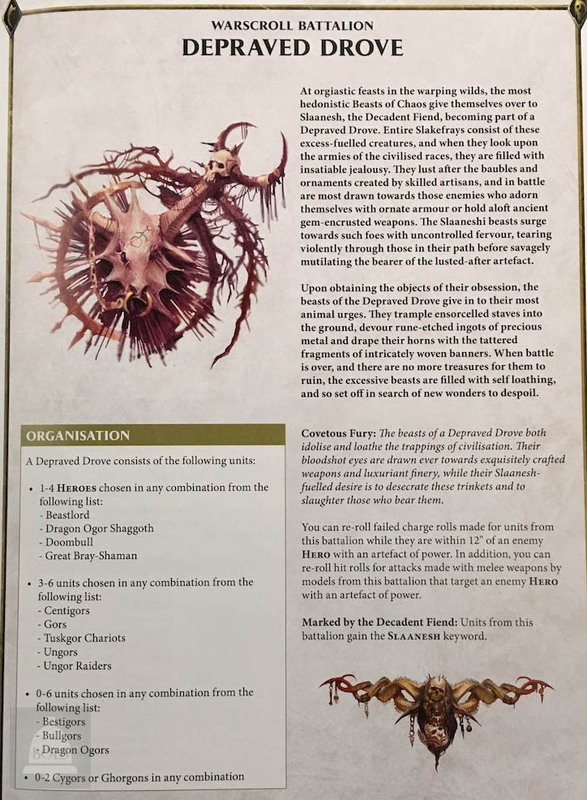 On top of that, they are also Marked Slaanesh which has some other benefits…what are those? Well, the book will be up for pre-order this weekend and we’ll be talking more about in the coming week so stay tuned. Slaanesh isn’t the one one who’s got a Greatfray – all four of the Chaos Gods have their own beastie-boys.